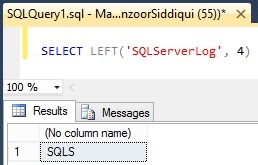 SQL LEFT() function returns substring from left side of specified string from a given column. If any column cell contains NULL value then it returns output as NULL for that value. Below is a simple example for LEFT() function where we are selecting four characters from left side of given string. 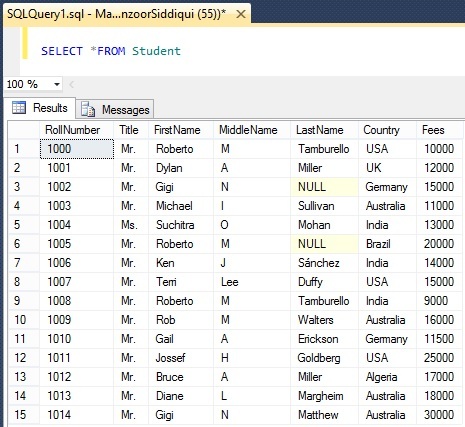 Here we will select three characters from left side of FirstName column with below query. 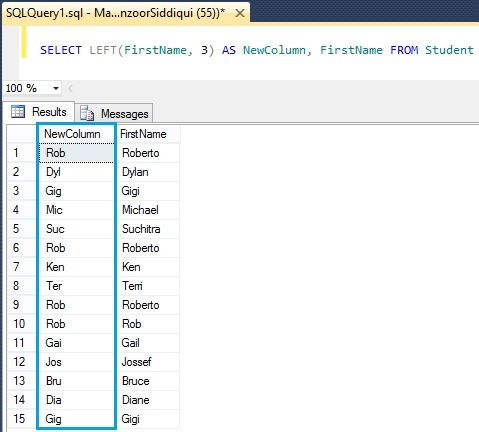 As you can see, we have extracted left three characters from FirstName column with LEFT() function. Similarly you can add more columns and add paddings to represent as code. We will see one more query. 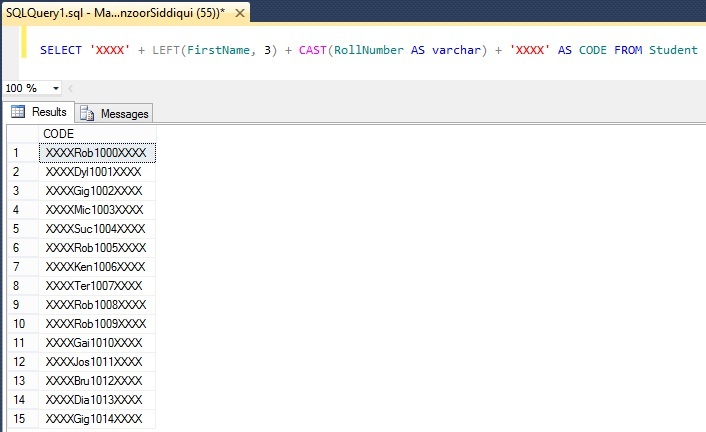 Here, we are selecting three characters from left side of FirstName column with RollNumber column and padding with ‘XXXX’ value on both side with new column name as CODE.